On Saturday afternoons and evenings from September through November, a few dozen uniformed men line up as one. Their leaders march them through a tunnel; their adrenaline surges; and, they emerge into a colorful, eclectic ocean of sights, sounds and smells, ready to do battle. Each time the Western Illinois football team takes the field, however, one player carries with him a dual sense of Leatherneck pride, a feeling that will be with him long after he’s taken off his helmet, shoulder pads and cleats for the last time. Fullback Mike Harmon – a 6-foot-1, 225-pound junior walk-on from Peoria, Ill. – will be a Leatherneck for life, although not because someday he will be a Western alumnus or because of the memories he’ll cherish from his time wearing the purple and gold. Harmon is a veteran of the U.S. Marine Corps, whose members are nicknamed “Leathernecks,” a term that originally referred to the leather collar that was featured on Marine uniforms during the Revolutionary War. 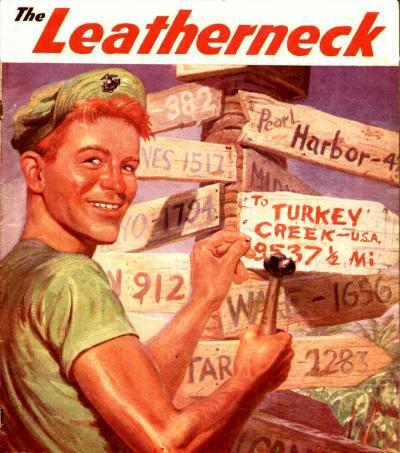 Leatherneck Magazine has been the official magazine of the Marines since 1917. Hanson Field is named for Marine Col. Ray “Rock” Hanson, who was Western’s head football coach from 1926 to 1941 and, later, served as the school’s director of athletics. In 1927, the World War I hero obtained permission from Congress for Western Illinois University to utilize the U. S. Marine Corp official seal-mascot (the bulldog) and nickname, Fighting Leathernecks. To this day, Western remains the only U. S. non-military institution that has permission from the Department of the Navy to utilize these Marine symbols. Western’s real-live mascot, an English bulldog who answers to Col. Rock III, is named in Hanson’s honor. 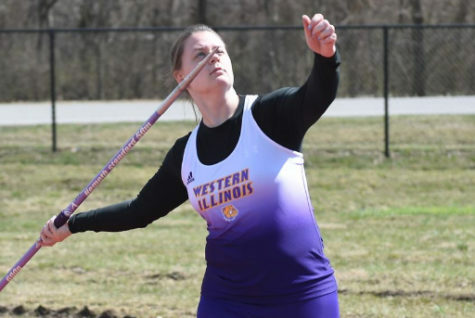 Harmon served in the Marines from 2003 to 2007, and in 2008, he became a Western Illinois University student and a red-shirt freshman on the Leathernecks’ football team. Although soft-spoken in the locker room, Harmon is looked up to by fellow players and is regarded as one of the team’s leaders. “I sense the respect, and I believe my time in the Marines has helped me become a team leader,” Harmon said. Those leadership qualities have been building in Harmon since he enlisted in the Marines immediately following his graduation from Peoria Central High School in May 2003. Harmon was the starting fullback for the Peoria Central Lions. He lettered in football for two years and received honorable mention all-conference honors his senior year. The highlight of Harmon’s prep football career was his performance during the team’s Homecoming game his senior year, when he rushed for 114 yards and scored two touchdowns. During his time in the military, Harmon was based out of the Marine Corps Air Ground Combat Center in 29 Palms, Calif. He served in the 2/7 Infantry, which stands for Second Battalion, Seventh Marines. Harmon was a member of the unit Echo Company. While serving overseas in Iraq, Harmon said, he witnessed many things that helped him develop mental toughness. At 26 years old, Harmon is the oldest player on the team, but the respect he commands from his teammates goes far beyond younger players looking up to him as an elder statesman. “Mike is a leader based on his presence,” said Leathernecks head coach Mark Hendrickson. “When he’s in the locker room or on the field, Mike is known by his physical presence. Hendrickson added that Harmon leads in his own way: by example. Though he serves as a backup to senior fullback Josh Gabelmann, Harmon still answers the call whenever the team needs him. 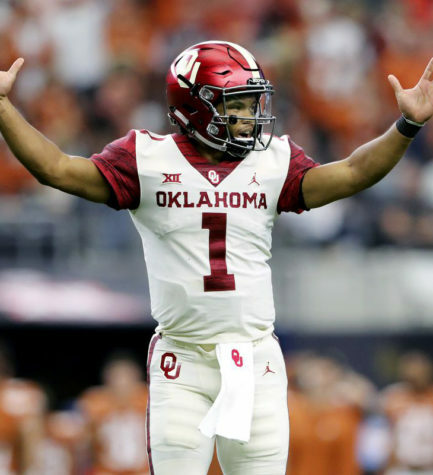 Whether it’s lead blocking for running backs like Caulton Ray and Bryce Flowers, or being a contributor on the special teams unit, Harmon is always ready. Although the outcomes of Western’s football games haven’t always been favorable this season, a campaign that thus far has seen the team produce just two wins against six losses, Harmon’s thoughts on the subject were typical of his never-say-die Leatherneck attitude.